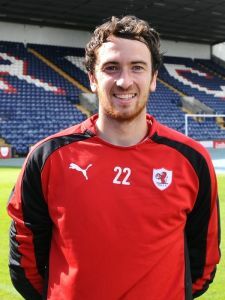 We are delighted, and not a little relieved, to confirm that we have this morning completed the signing of former Northern Ireland U21 and Kilmarnock goalkeeper Conor Brennan (22) on a short term deal until January. Conor gained Premiership experience with Kilmarnock playing 7 times for the Rugby Park side and also played briefly for Stranraer during a loan spell last season. He has also earned no fewer than 13 Under 21 caps for Northern Ireland. Conor is available for selection in today’s Ladbrokes Championship fixture away to Dundee United.